A different city every 48 hours. Two very overweight suitcases. 47-ish states. A million and one selfies. One Savvy year. 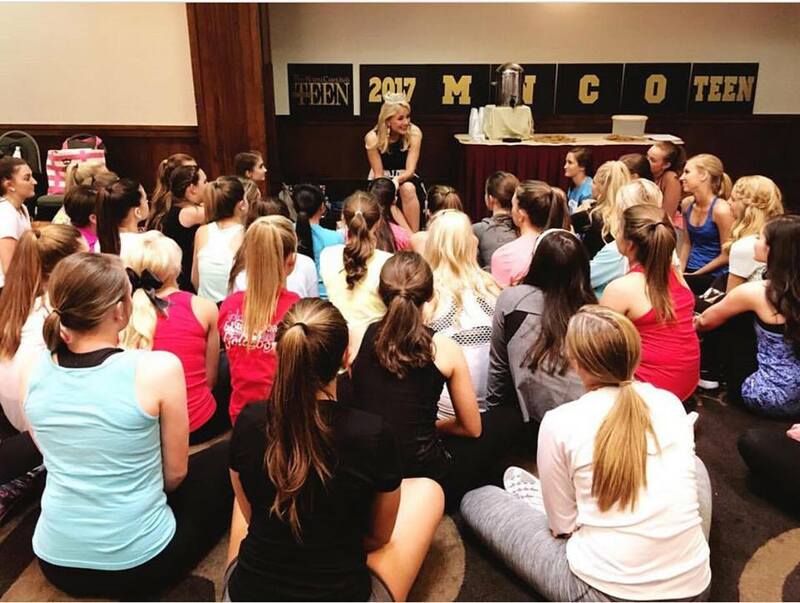 When I look back at my year as Miss America a lot of it is still a blur, so praises for Instagram, but what stands out the most are the overarching life lessons I have learned. Being Miss America is more than a full time job, it is a 24/8 job, and takes over all aspects of your life. I visit Children’s Hospitals, tour army bases overseas, present at award shows, speak at galas, hang out with kids, walk red carpets, and live in hotels. This year I have been challenged, tested, encouraged, and molded more than I could have ever imagined, and I am walking away with more life lessons than I can count. As an art major and list-maker, and in an effort to make this trendy and creative, here are 17 things I learned being your Miss America 2017. 1. Coffee naps are essential: You drink a cup of coffee, fall asleep during the 20 minutes it takes the caffeine to kick in, and Boom! Wake up super happy and loving the coffee nap life. 2. Why do you get up in the morning? Once you figure out the “why,” you can endure any “how”, making your goals and dreams much easier to achieve. 4. Talk about your heartaches. The greatest conversations and the best friendships I have start with transparency. Being able to look at your struggles outside of your brain helps to reduce the size of their hold on your heart, and creates deeper fellowship with the people around you. 5. At Starbucks, It is more fun to mumble your name when they ask for it. 6. Pin Rolling Meditation is the new Yoga. For me, pin rolling my hair has turned into a very therapeutic time in the morning. Fifteen minutes of repetitive motions that give you fifteen minutes in the morning to reflect, and set your intentions out for the day. I don’t usually have time for the hour long yoga meditation class to get my mind right, but a curling iron and hairspray are a close second. 7. Journal. Don’t let Instagram become your only life recorder. Yes, take as many selfies as you can and live your best life, but, don’t be consumed with finding the “good light”. If you are too busy finding a great photo ‘for the grid’, you’ll miss some of the most picture perfect moments. Cheesy, but I do pageants. I love cheesy. 8. Pro Tip: Airplanes are freezing 9 times out of 10. Bring extra socks. 9. Everyone has their own definition of success. I learned this from seeing how every single person has a different opinion of who Miss America should be. What she should look like, what she should wear, what she should talk about and when she should keep quiet. Every person has a hot take on how we should gage her success. The lesson in this is simply — define your own truth. Decide what you want your story to be and unapologetically live it out. 10. This is one I am still learning: You will not make everyone happy, and that is okay. It is more than okay, it is normal. One personal trait that has caused me the most anxiety is the desire to please people and be liked. The false idea that happiness comes when everyone around you is happy, not only cripples joy, it makes it impossible to be content. I am constantly learning that it is not my responsibility to change the emotions of the people around me, but rather my responsibility to make decisions that lead towards healthy solutions, even if at first they seem daunting. 11. Ask questions. Learn lots. You’re not suppose to know everything. Find every chance to learn about life outside your own. 13. Listen to other peoples’ stories, life perspectives, and ideas. There is so much life that goes on that we don’t know about. This is something being an art major taught me. Learning to have an open mind and an open heart leads to a more colorful life. 14. Don’t let your make-up wear you. I remember after wearing false eyelashes every day for a few months, I did not like the way I looked without them. It is so important to remind ourselves of our definition of the word “beautiful”. Eyelash glue and highlighter, even though they make us feel like we can conquer the world, are not what our beauty is contingent upon. 15. Always wear a shower cap when getting a spray tan. I learned this the morning of the Billboard Awards when I woke up with pink hair the morning after a spray tan…. praises for clip in extensions that hide imperfections. 16. You cannot be grateful and anxious at the same time. 17. “Never apologize for burning too bright, or collapsing into yourself at night. This is how galaxies are made.” This was the best year of my life. This was the hardest year of my life. Through trails and struggles, I know without a shadow of a doubt I have become much more of the Savvy I was designed to be. I’m not sure where to begin so I’m going to start with thank you. Thank you for being an inspiration, thank you for being a blessing to so many people, and thank you for being a light?. You winning Miss America was the first pageant I ever watched, and I’m from Arkansas so of course I cheered for you the entire time! ;) But at that point, I had no I idea how much you would impact my life. Beauty is a word that describes you perfectly but there is a thousand other qualities that are just as important about you. I struggled with always caring about what people thought about me, and trying to make sure that everyone liked me, basically trying to look like I had a “perfect” life, but after watching you and how you lived your life, I found out how little all those things I once thought were so important actually were. Kindness, love, grace, and compassion shine through you every day and it is contagious. You represent all things good and make me want to stand out and be different and make the decision to be the best version of myself as possible. Even in your 24/8 busy world, you also chose to live for Christ and everyone in this world could use a little Jesus everyday and you gave people that. And with that, you encouraged me to not just go through the motions with my faith but to walk my life the way Christ would. Just by you simply smiling and being upbeat all the time, sparks light into others lives. Not only have you motivated a million different people but you have also influenced a great part of me, and I know you will continue to touch the lives of others?. Today is a big day for you and I just want to say of how truly a precious person you are and that I really look up to you, in SO many ways. You were a flawless Miss America and truly an inspiration Savvy. I wish you the very best, because you definitely deserve it!!? Maddie- this message means the world to me. Thank you so much for taking the time to write it! So proud of you. So much love.